In the following social studies lesson, Kindergarten students will have a better understanding of what school is based upon America’s past. The lesson following this one (check the series below) is about how school has changed and learning the history of segregation in the American school system. Literature Connection: Layne, D. and Layne S. (2005). 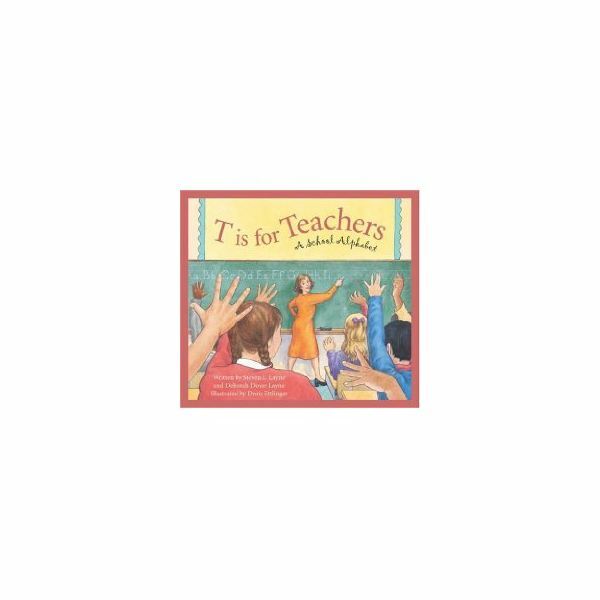 T is For Teachers: A School Alphabet. Talk to the students about what they will learn this year at school, reading, writing, science, music, social studies, math, art, gym, and so on. If you have school colors and a school song, teach them to the students at this time. Procedure: Give one triangle, one square and several rectangles to each student. Have students construct a schoolhouse and glue it to the white paper. With a black permanent marker, print the name of your school on the paper, and have the students embellish the picture with their own designs. Provide a model for students to see. 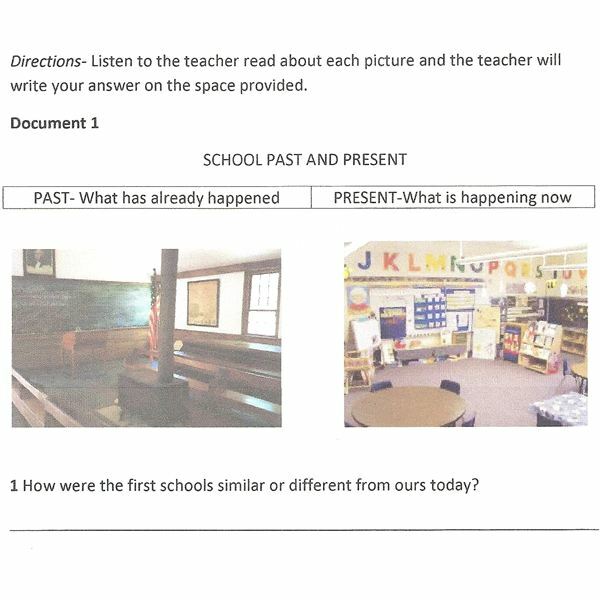 Assessment: When shown pictures of the two schools, can students tell which school they are viewing? Have students describe what they see in both pictures, how are they similar and different? Are there any symbols that are the same in both pictures? Many states across America have historical one-room schoolhouses for teachers to take students on a field trip. 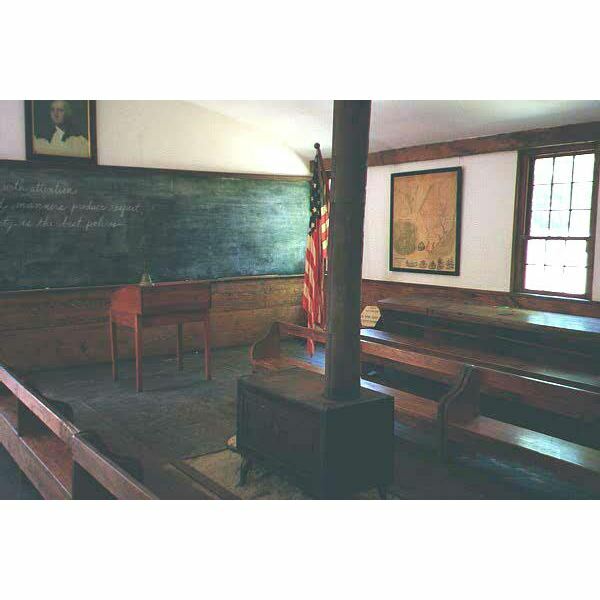 Gather photographs and information about the historical school you intend to visit from the One-Room Schoolhouse Center to teach students the dates the school was in operation and interesting facts. Plan a field trip to the one-room schoolhouse, conduct a lesson plan and eat lunch there. When you return from the field trip, discuss how school is the same and different today and create a Venn diagram with the students. Students are usually quite surprised about how uncomfortable the conditions were in the past. Have students write (draw pictures) about the school they visited. Meet the social studies standards for history while your Kindergarteners learn about the history of American school. Here, students learn about one-room schoolhouses and segregation.